By the end of the year in which you turn 71, you are required to terminate your RRSP. You have three viable options at that point. 1. 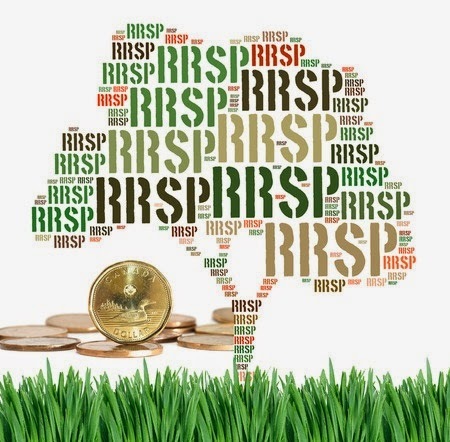 You can transfer your RRSP savings into a Registered Retirement Income Fund (“RRIF”). 2. You can transfer your funds into an annuity. 3. You can blend the RRIF and annuity option. There is a fourth option, which is to withdraw the full value of your RRSP; however, unless you have a very small RRSP, this option is a non-starter. Today, I am going to discuss the RRIF option. I will likely write about annuities at some point in the future. Many investment advisors suggest that you consider using some portion of your RRSP to purchase an annuity to provide a fixed stream of income in retirement, especially if you don’t have a company pension upon retirement. Rob Carrick wrote this article last week on how you can use annuities in your retirement. RRIFs are subject to an annual minimum withdrawal, which commences the year after you open your RRIF account. The minimum withdrawal amounts are based on a percentage of the value of your RRIF. The standard percentages are noted below. * On January 1 of the year for which the minimum amount is being calculated. The minimum withdrawal rates may force you to withdraw more funds than you need to live and push you into a higher income tax bracket. Fortunately, you can elect to have the withdrawal minimums based on the age of a younger spouse or common-law partner. This election cannot be changed once you select the spousal age option. If you have a spouse under the age of 71 the minimum percentage is calculated as 1 divided by (90 minus your spouse's age). As per this article by Preet Banerjee, if your spouse is only 50, you would only have to withdraw 2.5% [1/(90-50)]. The website RetirementAdvisor.ca has this excellent RRIF calculator to help you determine your minimum withdrawal rates and whether you should use your age or your spouses. 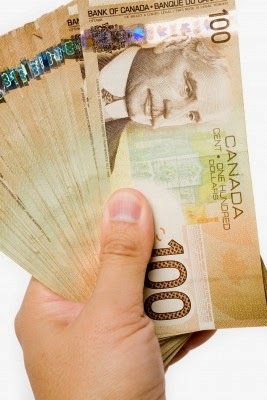 It may make sense to withdraw funds from your RRSP before you convert it to a RRIF at age 71. You would do this only where your marginal income tax rate will be lower in the years between retirement and when you convert your RRIF at age 71. For example, assume you will have $40,000 of pension and investment income when you retire at age 65. At this level of income, the next $4,000 you earn will be taxed at approximately 24% and the following $27,000 will be taxed at 31%. 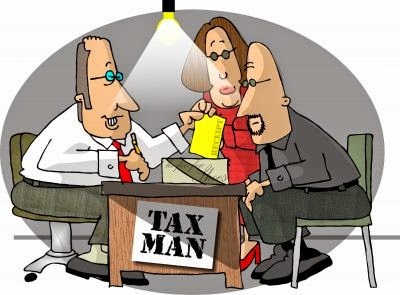 Thus, you may want to cash in $4,000 and possibly more, since when you must withdraw funds from your RRIF at age 72, you will at minimum be taxed at 31% and possibly higher (depending upon your minimum RRIF withdrawal and your ability to pension split with your spouse). You also want to manage your total net income so that you will not have to pay back your old age security. The 2014 clawback threshold starts at $71,592 with your OAS being completely clawed-back once your total net income reaches $115,716. To some, the above may seem simplistic and fairly standard advice. In fact, I was taken to task by a reader for similar advice during my 6 part series on retirement. 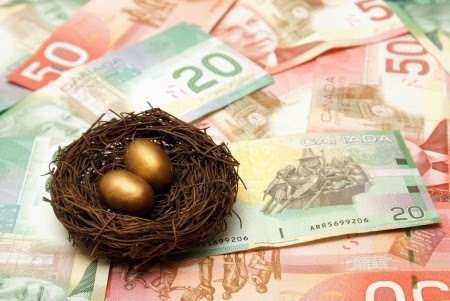 The reader commented that they "have seen very few models that give a detailed picture of how to manage the drawdown of your RRSP and take into account the minimum RRIF withdrawals". As I like a challenge, I actually attempted to create such a model. Alas, after a couple hours and a brief discussion with Michael James who is a math whiz, I realized this is a herculean task, in which I have little interest in attempting to conquer. Thus, I suggest the only way to deal with this issue is to have your financial planner consider your RRSP drawdown in context of your retirement plan. As RRIF withdrawals at age 65 and beyond qualify as pension income, they will be eligible for the $2,000 pension income tax credit. Many advisors suggest converting a small portion of your RRSP into a RRIF so that you can claim the pension credit. The pension credit is worth approximately $400 on a $2,000 RRIF withdrawal. Keep in mind you may have to pay an administration fee for your RRIF that could offset some of this benefit. If you will have earned income in the year of retirement, say 2014, you can make a RRSP over-contribution in December, 2014 (equal to 18% of your 2014 earned income). This will allow you to claim a 2015 RRSP deduction. You will pay a one month over-contribution penalty of 1% for your December over-contribution; however, your RRSP over-contribution will cease January 1, 2015 (i.e. If your 2014 earned income is $100,000, you can make a $18,000 over-contribution in December, 2014. You will owe a $180 penalty, but can deduct the $18,000 RRSP contribution on your 2015 return even though your RRSP is now a RRIF). If you have a younger spouse and you have RRSP contribution room, you can contribute to a spousal RRSP up to and including the year in which they turn 71. Most people know they must convert their RRSP to a RRIF by the end their 71st year, but give no heed to any planning before the year of conversion. 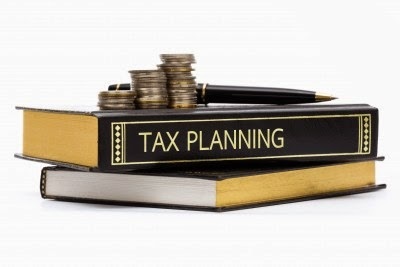 As noted above, tax planning should begin with your RRSP/RRIF in your early to mid-sixties. On Monday I discussed why an estate freeze may not be the right solution for a family’s business succession plan and why Tom Deans considers an estate freeze to generally be the absolute wrong way to go about transferring a family business. Today, I discuss my interpretation of Tom’s thoughts based on a panel discussion I participated in with him, my reading of his book and a review of interviews he has given. To be absolutely clear, these are my interpretations and Tom has not reviewed or commented in any way. Finally, I have a 4 CD audio set giveaway of Tom's book Every Family's Business. Buy the Business, Are You Kidding Me? In the postscript to Tom’s book Every Family's Business: 12 Common Sense Questions to Protect Your Wealth, he says the one part of his presentation that always elicits an uneasy response is when he says ‘in this room there are children who believe their parents will gift their business to them and parents who believe their children will purchase their business”. He goes on to say “this lack of clarity over the future ownership of the business is the greatest source of conflict and wealth destruction in a business". What Tom is poignantly noting is the lack of communication between parents and their children and the unspoken assumptions that are often far from the truth. A parent needs to be honest with their child(ren) if their expectation is that their child(ren) will have to purchase the family business. Children need to be honest with their parent(s) about whether or not they are willing to purchase shares in the business or if they even have an interest in carrying on the business. The best business families are able to talk openly, honestly and frankly about money, business and family succession. Tom says “The legacy is not the business. The legacy is the family”. Many business owners believe their greatest legacy is their company and their job as entrepreneurs is to transition that business into their children’s hands. Tom suggests that owners need to grant themselves permission to take care of themselves first by selling for cash and looking at their business as an instrument of wealth creation. Although the business will typically be sold to competitors, Tom has no problem offering the business to children, as long as they purchase it on commercial terms and take on the risk of ownership (children may get preferential payment terms). Tom says that when children find out they will not be gifted the business (through an estate freeze) they are often perturbed, however, when it is explained to them that someone is paying mom or dad millions of dollars, some of which may be allocated to them immediately or will ensure a significant inheritance for them in the future, they suddenly change their tune. Essentially, Tom is saying that the equity in your business does not have to be passed down as shares in the business, but can be passed as liquid wealth to your children down the road. To deal with the liquid wealth created by a sale, Tom wrote a second book entitled Willing Wisdom: 7 Questions to Ask Before You Die. If a parent decides against selling the business and undertakes an estate freeze, often the parent becomes their own worst enemy. Tom half-jokingly noted during our panel discussion that when your parent has a heart attack at 71, twenty years ago they died. Now doctors put in a coronary stent and your parent is good for another 20 years. So when parents tell a child it will all be yours one day, that one day could be when you turn 65 and up until you obtain control of the company, your parent(s) may keep their thumb(s) on you (since they often maintain voting control as per my estate freeze discussion last week). Parents; skipping a generation is not succession planning! Tom says that in many cases your succession plan as an owner is no plan and until you suffer a health event, there is no urgency to plan. He suggests that it is important to start planning from day one, while you are healthy and clear of mind. Determine if there is a buyer in the house (family member) and as noted above, do not assume your children will be the buyer. He feels that if your children will not put up their own money (or obtain their own bank financing) to buy some or all of your shares, you should look elsewhere. If a child is not willing to risk their own capital, Tom feels that means they are either not committed to the business or they truly feel the business is old and past its freshness date. Whether you want your business to be enticing to your children or an arms-length buyer, you must ensure your business adapts to changes and risks in the market place and that you continuously strive to improve operations and efficiency. By doing such, you make your company more valuable to an outside party and more attractive for a child to risk their own capital and carry on the business. If you own a business, I strongly suggest you buy Tom’s book. In the end, he boils family succession planning down to 12 commons sense questions that start the family succession conversation but also cleverly have the ability to end the conversation quickly. I hope the two posts this week and last week’s blog on estate freezes, has given you plenty of food for thought. I have two copies of a 4 CD audio set of Every Family's Business narrated by Tom. If you would like a copy, email Lynda@cunninghamca.com and I will randomly select the two winners and announce them on June 16th. A few months ago, I was one of the “experts” on a panel that discussed family succession. The guest speaker and main attraction for the night was Tom Deans (yes, believe it or not, I was not the draw). Tom is the author of Every Family's Business: 12 Common Sense Questions to Protect Your Wealth, the best-selling family business book of all-time with more than 300,000 copies in circulation. Tom is an outspoken advocate of parents taking care of themselves, which often means selling their business, whether to a competitor, their own child or management, rather than just handing it over to their children for free (via an estate freeze). Tom's suggestion to monetize your business, rather than hand it over to your children, runs counter to the commonly held belief that your business is your legacy and that the ultimate family business is multigenerational. For many business owners, I would suggest that Tom’s advice to sell and safeguard your retirement is often the prudent decision. With statistics suggesting that only 30% of family businesses transition successfully to the 2nd generation and a meager 10% to a third generation, Tom may be correct that many parents are compliant in destroying their business by trying to ensure its perpetuity. In my experience, parents often cite three reasons for preferring an estate freeze over an outright sale to an arms-length party or to one of their children. 1. They see the family business as an annuity, so why sell for $4,000,000 ($3,200,000 or so after-tax) when it will make $4,000,000 every 4 to 5 years indefinitely if the business continues as it is or grows. 2. They feel they can easily redeem enough of their frozen shares each year to cover their living expenses so why burden the children with additional debt. 3. What is the point in selling shares to their children, if their children need to borrow from the bank to purchase the shares; especially since if the business goes sour, the parents figure they may need to step-up and cover the default anyways? What Is so Bad About an Estate Freeze? 2. Whether a company’s share value increases due to market forces or because of the children’s efforts or non-efforts is irrelevant; your children may end up making far more than you ever did, despite you handing them a turnkey operation (that may be fine with you). 3. An estate freeze requires decisions regarding which child(ren) will work in the business, how they will be compensated and which of them get shares and what percentage of the shares. All these decisions can blow-up. For example, let’s say you undertake an estate freeze and give your daughter who will work in the business all the shares of the business (which are in theory worthless at the date of the freeze, since you have all the current value in your special shares, say your shares are worth $2,000,000 in this example). You leave your other two children say $100,000 each in your will to “compensate” them for not being involved in the freeze. Imagine the sibling conflict if the business grows to $3,000,000 in value. The child working the business has benefited to the tune of one million dollars ($3,000,000- $2,000,000 freeze value) plus a full-time job, compared to the $100k the other children will receive in the will. 4. Parents often like the concept of freezes because it locks in the maximum amount of income tax they will owe on death, however, the freeze is also often viewed as a way for them to slow down and move away from the business. If the child who takes over the business makes a mess of the family company, mom or dad or both are often forced to step back in to save the company – not exactly the stress-free retirement they imagined. 5. In a blog posting by Tom, he states that an estate freeze “magnifies family genius – and incompetence – precisely because the market rules of ownership were violated through gifting, all in the name of saving tax. Families pay the highest price when they lose their mutual trust and respect for one another when gifting goes bad. And when trust is lost, family members resorting to litigation is the saddest progression of a family business in decline”. My personal experience with estate freezes has been good. While the overwhelming majority of my clients over the years have sold their businesses, there have been several that have frozen their companies and everything worked out. I would say that is because most of these clients were able to distinguish which child(ren) deserved to work in the business and were committed to the business (in most cases, the children have been uniformly intelligent and often academically brighter than their parents, though not necessarily as street smart). The parents also gave significant thought to how they would compensate the children both involved in the business and those excluded from involvement. Finally and probably most import, the parents tried to understand the sibling dynamic within their families and whether a freeze made sense within these family dynamics. 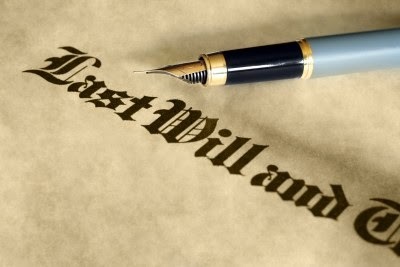 After reading this post, you may be thinking to yourself that an estate free may not be the succession planning panacea it is marketed as; at least from the non-tax perspective. On Wednesday in part two of this post, I will discuss the issues Tom considers vital in regards to selling or transitioning your family business. In addition, I will give away two copies of a 4 CD set of Every Family's Business narrated by Tom. Winston Churchill once said, “Let our advance worrying, become advance thinking and planning.” Small business owners often worry about their exit strategy and/or succession plan. They may also be concerned about what would happen to their business if they have a health scare or receive an ultimatum from a child working in their business. 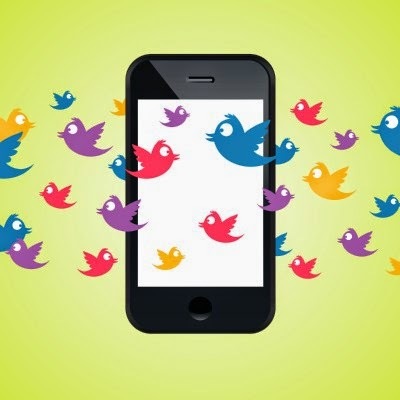 Often a small business owner’s worry becomes their anxiety, instead of their advanced planning. (2) A transfer of the business to your children without a sale (for purposes of this article I will refer to this option as an “estate freeze”). My blog today discusses estate freezes. How you can transfer your business tax-free to a successor (typically your children, sometimes to existing management) while continuing to control and receive remuneration from your business. Next week I’ll discuss Tom Dean’s thoughts on this matter. 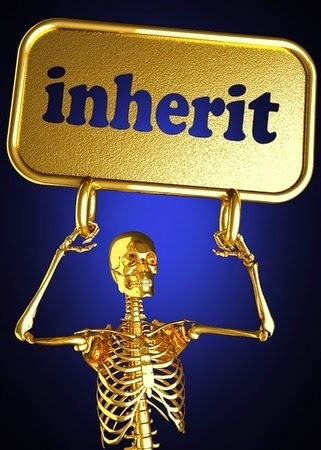 Tom who is the author of Every Family's Business (the bestselling family business book of all-time) believes a business should in most cases be sold and never handed over to the next generation (such as done with an estate freeze) without the parent(s) adequately being compensated for the business. The most tax efficient manner to transfer your business to your children is to undertake an estate freeze. An estate freeze allows your child(ren) to carry on your business, while at the same time you receive shares worth the current value of your business. In addition, once your share value is locked-in, your future income tax liability in respect of your company’s shares is fixed and can only decrease. Keep in mind that when you freeze the value of your company you are not receiving any monies for your shares at that time. There may be ways to monetize that value in the future, but on an estate freeze, you typically only receive shares of value, not cash. The key risk in any estate freeze is that your children may partially or fully devalue these shares and your company. 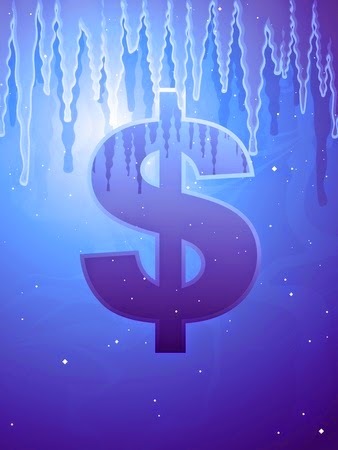 So while an estate freeze may be the most tax efficient way to transfer your business, it may not be the best decision from an economic or monetization perspective. In a typical estate freeze, you exchange your common shares of your corporation on a tax-free basis for preferred shares that have a permanent value (“frozen value”) equal to the common shares’ fair market value (“FMV”) at the time of the freeze. Subsequently, a successor or successors, say your children or family trust can subscribe for new common shares of the corporation for a nominal amount. This concept is best explained with an example. Assume Mr. A has an incorporated business worth $3,000,000 and wants to undertake an estate freeze. In the course of the freeze, Mr. A is issued new preferred shares worth $3,000,000 and his children or a family trust subscribes for new common shares for nominal consideration. Mr. A’s tax liability in relation to these shares on death, is now fixed at approximately $750,000 in Ontario ($3,000,000 x capital gains rate). Often, a key aspect of an estate freeze is a plan to reduce the tax liability by redeeming the preferred shares on a year by year basis as discussed below. If you have access to your lifetime capital gains exemption (currently at $800,000 but indexed beginning in 2015 for inflation), your income tax liability may be reduced when the shares are eventually sold or upon your death if you still own them at that time. Finally, you may choose to crystallize your exemption when you freeze the shares. The preferred shares received on the freeze can be created such that they allow you to maintain voting control of your corporation until you are satisfied your child(ren), is(are) running the company in the manner you desire. This maybe a double-edged sword, as you may tend to hold onto control long after your successors have proven themselves. This may become a contentious issue. Preferred shares can also serve as a source of retirement income. Typically what is done is that your preferred shares are redeemed gradually. So, for example, if you need $100,000 before tax a year to live, you can redeem $100,000 of your preferred shares each year. Let’s say you live 20 years and redeem a $100,000 a year. By the time of your death, you will have redeemed $2,000,000 ($100,000 x 20 years) of your preferred shares and they will now only be worth $1,000,000 ($3,000,000 original value less $2,000,000) at your death. 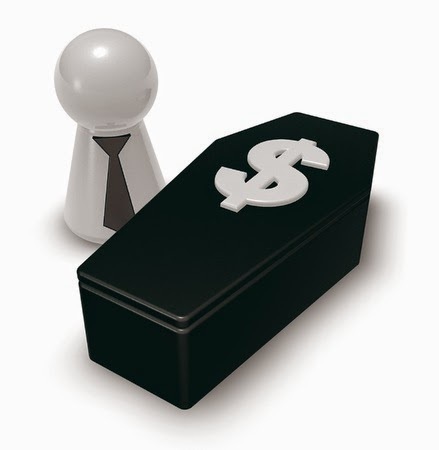 Your income tax liability on these shares at the time of your death will now only be approximately $250,000. 1. On death (something we should all be planning for), an individual is subject to a deemed disposition (i.e. a sale) on all of his/her assets at FMV, which would include his/her shares of the business. An estate freeze sets your maximum income tax liability upon this deemed sale and as discussed above, this liability can be lowered over the years by redeeming the shares. 2. Family members will be able to become shareholders of the business at a minimal cost and be motivated to build the business (although Tom Dean's would dispute this assertion). 3. Instead of having children directly subscribe for new common shares, you can create a discretionary family trust to hold the common shares. Every year, the corporation can pay dividends to the family trust which can then allocate the dividends to family members with lower marginal tax rates. This mechanism allows for great income splitting opportunities. 4. On the eventual sale of the business, the children or family trust may realize a significant capital gain. 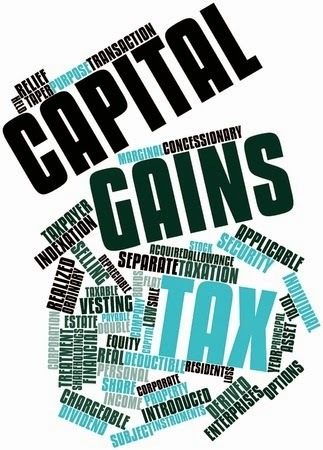 Assuming that the business qualifies for the capital gains exemption, the family trust can allocate this capital gain to each beneficiary who may be able to use his/her own lifetime capital gains exemption limit to shield $800,000 or more of capital gains from income tax. 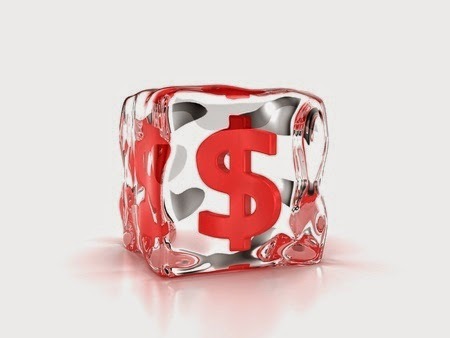 One of the more critical aspects of an estate freeze is the determination of the fair market value ("FMV") of your business. In order to ensure that an estate freeze proceeds as smoothly as possible, the FMV of the company must be calculated. In the event that the FMV determined is challenged by the Canada Revenue Agency (the “CRA”) the attributes of the preferred shares will have a purchase price adjustment clause that will let the freezer reset the FMV. The CRA has stated in the past that they will generally accept the use of a purchase price adjustment clause if a “reasonable attempt” has been made in valuing the company. Engaging a third party independent Chartered Business Valuator to prepare a valuation report is generally accepted as a “reasonable attempt” in estimating the FMV. 1. Are you relying on the value of the company to fund your retirement? If so, it may be best to sell and ensure you have a secure retirement. 2. Do you have an identified successor, i.e. child, able and willing to work in your business? 3. Can you bring one child into the business without creating a dispute amongst your children? 4. Are your children married and how may a divorce or separation impact the business? Long-time readers of my blog will know that I am a proponent of family discussions and getting over the money taboo. I cannot overstate the importance of having a detailed discussion with your family if you plan to hand your business over to one or more of your children. If you pass that hurdle, you must speak with your accountant and lawyer to ensure you understand the implications of the freeze and how to properly implement the corporate restructuring. 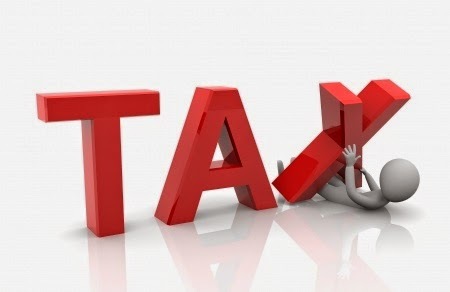 Finally, your tax advisor will want to structure the freeze such that it can be “thawed” if the business suffers a setback due to the economy, or your child(ren) prove incapable of running the company. As noted above, next week I will discuss Tom Dean’s views. Tom feels an estate freeze is not a succession plan or the best way to liquidate or sell a business.